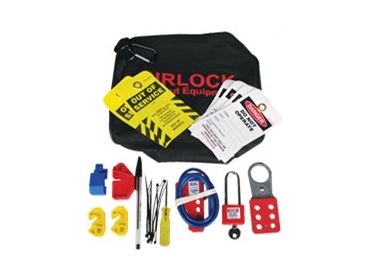 A range of lockout kits are available from Cirlock to suit different types of contractors/workers. The lockout kits come with a handy carry bag, with zipper and belt buckle. These kits include various quantities of lockout devices, tags and padlocks to suit the different needs of contractors. Cirlock lockout kits can be custom made in small or large quantities.